With those caustic words, Roger Waters introduced “Run Like Hell” in concert in 1980. Waters continues to taunt and provoke his audience 37 years later when he performs music from his Pink Floyd catalog and solo career, often by injecting venomous statements against President Elect Donald Trump from the stage. When he taunts an audience and redefines his music in a political context, he leads them into a different relationship between performer and audience, one characterized by confrontation, stimulation, and discussion. I live in a family of artists. We often have conversations about the role of the artist to make an audience uncomfortable — to confront, to reveal, and to invoke anger even. It’s sometimes necessary to create discomfort if you’re going to lead an audience. There is a time and place for leading an audience by challenging them, and consequences to be paid for doing so (as Jim Morrison demonstrated in 1969 at the infamous Miami concert that led to his arrest for public indecency). And, there is a time and place to make an audience feel warm, uplifted, and comfortable. I want to uplift people and make them feel comfortable when I act each year in the Bristol Renaissance Faire. But I don’t want to uplift necessarily when I write fiction, and neither does my wife, Janice Deal, in her short stories. We both want to lead an audience in our writing, as does our daughter, Marion Deal, in her writing and public speaking. Leading an audience means looking deep inside yourself and taking a risk. You know you’re succeeding when you evoke a reaction. It just might not be a happy reaction. Case in point: back in the 1970s, Alice Cooper made popular shock rock by putting on concerts that featured imagery and theater that some might consider grotesque, such as a decapitated baby dolls and guillotines. Critics hated Alice Cooper and thought his concerts to be stupid and gimmicky. And even their audience sometimes recoiled in horror. But Vincent Furnier, who headed the band and adopted the name Alice Cooper for himself as a solo act, knew what they were doing. The band’s onstage behavior was intended to create an audience reaction by synthesizing forms of horror and fantasy, burlesque and rock and roll, shaped by Furnier’s own passion for movies and visual storytelling. He satirized the then-noble notion of rock star as poet and social change agent by creating a villain who sang hit songs only to be executed onstage. He made an artistic statement and was leading the audience in another direction toward a glam rock movement would propel artists such as David Bowie to fame. The best part about the story: Alice Cooper wasn’t famous yet. They could have been killing their careers before they had a chance to take off. My daughter is in a similar situation. Marion is on the speech team at Downers Grove North. Each week she competes in tournaments where she performs forms of speech ranging from improvisation to poetry. She often picks confrontational material especially for poetry — words that frighten and provoke. The results are polarizing. The judges sometimes love what she’s doing. Sometimes they hate it. Sometimes they are confused. (After hearing Marion recite poetry at a January 14 meet, one judge commented to Marion, “I’m not sure whether I’m intrigued or terrified.”) On any given week, she might get a medal or be shut out of the final round. Marion could play it safe, go for high scores, and accumulate a bunch of trophies that would look good when she applies for college. Instead she chooses to lead her audience by showing the judges a type of poetry and delivery style they are not accustomed to seeing and hearing. You could argue that if she’s polarizing the judges, she’s misreading her audience, but she has already looked inside herself and decided that she is would rather lead an audience than get a medal. She’s also challenging the status quo, which is what you do when you lead an audience. Speech tournaments have not changed much for decades. Kids still have to dress up like attorneys and adhere to some prescribed way of presenting material even though in real life, movers and shakers like Mark Zuckerberg capture an audience wearing T shirts and pretty much working the stage however they please. By bringing in controversial material, Marion is challenging the way judges are “supposed” to evaluate speakers. Maybe the judges should recognize speakers who create reactions, even possibly a little confusion in the right context? It’s no coincidence that Marion draws inspiration from Jim Morrison and Roger Waters, who emerged from a golden era of artists pushing audiences in all forms of expression, ranging from plays to music. We experienced another golden era with the rise of rap and hip-hop, when musicians from places like Compton essayed urgent bulletins about societal dysfunction. But eventually hip-hop stars got more interested in rapping about bling, and they stopped leading their audience. Confrontational artists exist today in their own way, just not necessarily in concert. 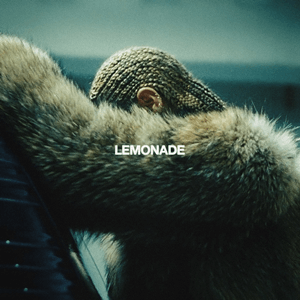 Beyoncé is a crowd pleaser in concert, but in 2016, her Lemonade visual album unleashed a different side to her music, including a song and video, “Formation,” that managed to created a firestorm of controversy and definitely made some listeners very uncomfortable with her frank discussion of race, and marital infidelity. She led her audience in a new direction of social consciousness. Her Super Bowl 50 performance of “Formation” was about as close as you’ll ever see a Super Bowl halftime show push the boundaries of an audience. (Unlike the case with Jim Morrison and the Doors, the related controversy helped Beyoncé.) Radiohead is still capable of pushing boundaries with its audience through quirky, puzzling, and disturbing videos. Kanye West confronts audiences in concert, but I’m not even sure he knows what he is doing or why. It will be interesting to see if a Trump presidency creates a resurgence of artists acting as confronters. Musician Amanda Palmer recently predicted that the divisive Trump will “make punk rock great again,” and The Guardian‘s Jonathan Bernstein has also noted a potential resurgence of protest music in the dawn of the Trump presidency. Certainly artists outside of music are busy confronting the times we live in with uncomfortable art, whether making a painting with human blood or organizing “Nasty Women” art exhibitions. Even still, artists taking political stances can risk their careers, as the Dixie Chicks learned when they nearly sabotaged their careers by protesting the Iraqi war during a concert. 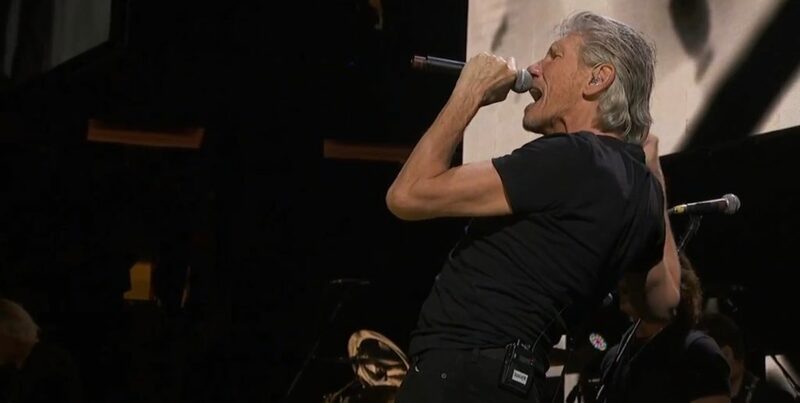 Also, will artists with a social conscience be willing to confront their audiences at lucrative money-making festivals such as Bonnaroo and Coachella, as Roger Waters did at Desert Trip in 2016? The potential exists for Chance the Rapper or U2 to do so at Bonnaroo or Beyoncé, Kendrick Lamar, or Radiohead to do so at Coachella. These are supposed to be feel-good celebrations for those affluent enough to afford to be there — but will we see artists challenge the status quo and lead their audience? This entry was posted in Music and tagged Alice Cooper, Beyonce, David Deal, Formation, Janice Deal, Lemonade, Marion Deal, Michael Walker, Roger Waters, Superhype, What You Want Is in the Limo. Bookmark the permalink. Artists that conform to the status quo, get comfortable and sell out always lose relevance. Witness U2, formerly \”the only band that matters\”: they no longer matter. I\’m not a fan of hip hop or rap, with the exception of Ice-T. His work was controversial from the beginning, but also entertaining. Thank you, Bryan. Indeed, Ice-T has always been a thought-provoking artist. Public Enemy also challenged audiences in the group\’s heyday. I especially like what you say here: \”A talented performer who consistently entertains and provokes will often find the sweet spot between art and success…\” Well put.